Yes, yes. It’s that time of the year again. We’re in December now and every morning is a dash colder than the morning before and being able to see my breath while I’m inside has become a dead giveaway it’s time to turn the heat on. The frost on my car windows implies I should start preheating my automobile whenever I want to go somewhere. That’s right. The end of the year is nigh and if you’re a doomsayer then there’s a bit more impending than the year’s swansong. 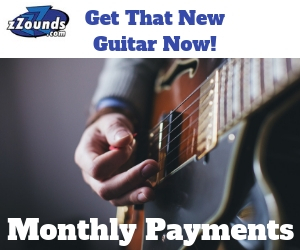 With about a month left for 2012 and all the really big announcements reserved to feed the brooding anticipation of Winter NAMM in 2013 it’s also the time to reflect on the the as it comes to closure. 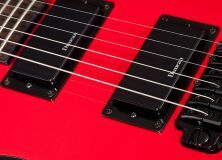 In a breathtaking and daring maneuver we have further solidified the immortality of these guitars in excess of the immortality we’ve already given them by combining them here into one gallery. See what guitars have reminded of generations past and what’s got us excited to see what the future has in store. At least before we start spamming everyone with the mouthwatering goodness that will no doubt be radiating from everything we report from the big new gear announcement day. 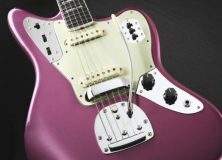 Fender’s Jaguar, once fated to be forgotten, has celebrated its 50th anniversary this year thanks to a resurgence in interest back in the 80s and 90s. 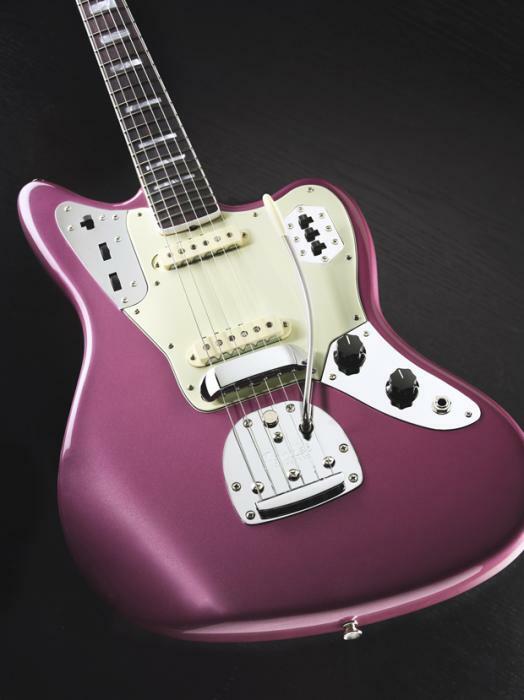 Now the Jaguar has earned its place among Fender’s flagship models that further defines their style and sound. 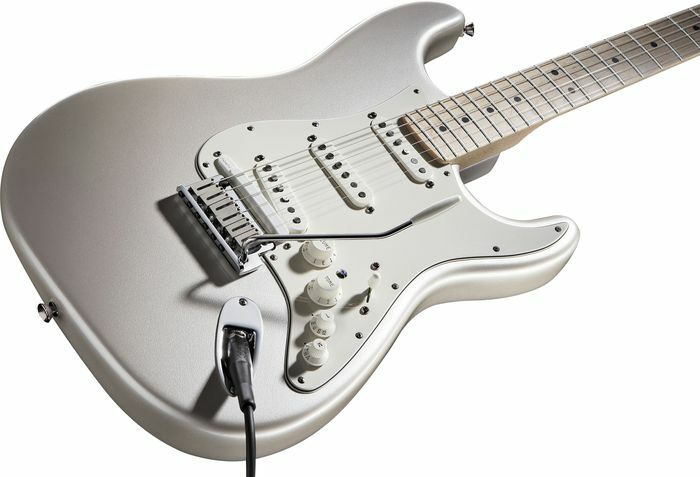 In Fender’s more innovative pushes forward their GK-ready Strat introduced a stock MIDI pickup and port to connect directly to a Roland GR-500 synth pedal and then later their USB ready audio interface guitar hybrid under the Squier name. 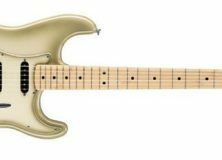 So Fender’s made great efforts to push the boundaries forward while not forgetting what started it all. 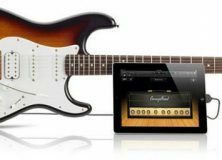 Also introduced were Fender’s Antigua Stratocaster and Telecaster as well as the Tele-Bration series that presented a series of Telecasters as a timeline for the Tele from one generation to the next. 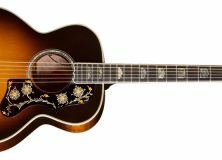 Gibson Guitars has come at us with enough to satiate our needs for guitars starting with a 75-year anniversary release of one of history’s most popular acoustic guitars. The J-200. 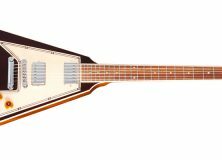 The J-200 is one of those guitars that played a pivotal role in the eras that made the guitar so influential in the music industry. 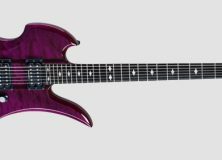 Offering a twist on a classic Gibson unrelentingly smothered specially designed SGs with transparent paint for their line of Diablo SGs. 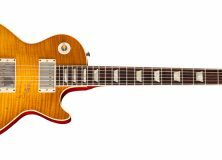 Paul Kossoff was posthumously honored with a signature Les Paul while Grace Potter had solidified her first signature guitar in the form of a Gibson Flying V earlier as well. 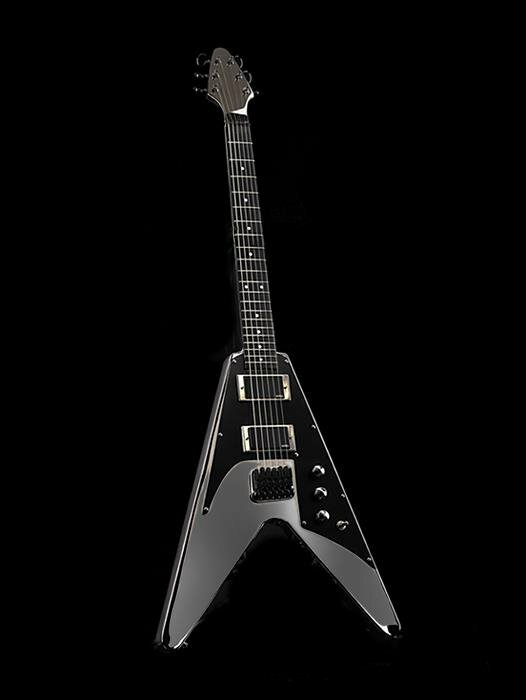 D&H made their mark on the guitar industry when they released their stainless steel Flying V guitar. 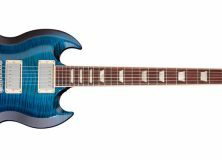 While most metal guitars just feature parts made of metal like the body or a top piece, but this guitar is one whole piece of stainless steel with the ebony fretboard being the only contrasting material used. 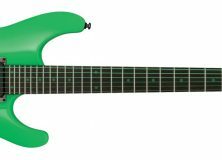 This means that at long last we have a guitar we can use to bludgeon our friends’ heads with without the fear of aesthetic damage to the guitar. The Gittler was mostly a long since forgotten guitar since for decades only a handful were in existence, but fortunately the unique instrument is back in business with greater ambitions than ever before. 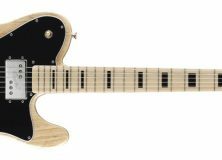 Now instead of just making guitars Gittler is taking their unique style to other fretboard instruments including basses and violins. 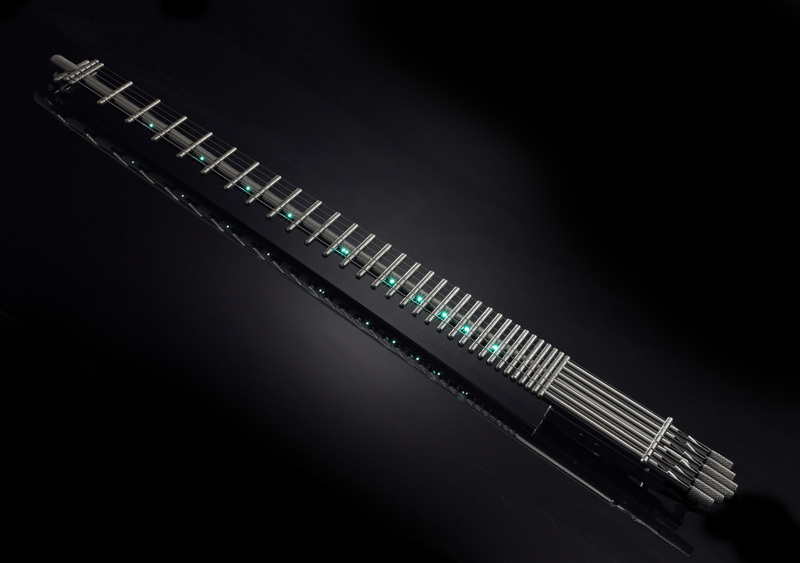 Who wouldn’t be interested in seeing how bare a violin could be built? 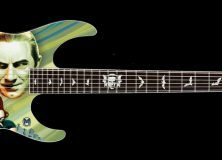 LTD’s greatest contribution to mankind came earlier this year in the form of a Bela Lugosi tribute guitar decorated with a Tales from the Grave paint finish with bat and Lugosi fretboard inlays. 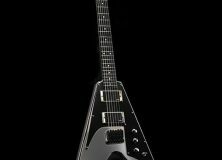 This is easily one of the greatest guitars since sliced bread just because of the tribute to Lugosi. 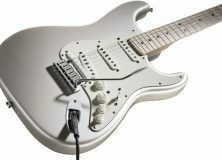 It’s possible to have Fender VG STRATOCASTER electric Guitar 24 frets?